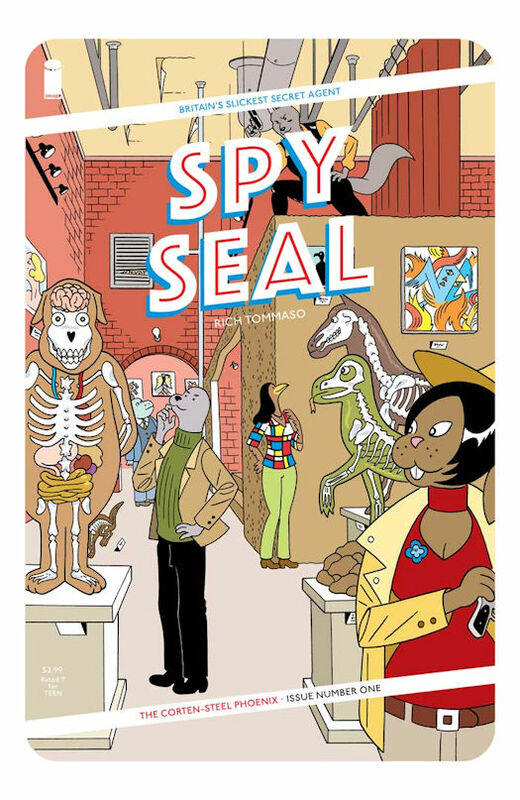 PORTLAND, OR, 05/23/2017 — Critically-acclaimed cartoonist Rich Tommaso (SHE WOLF) will launch an all-new series centered on his beloved character of the same name—SPY SEAL—this August from Image Comics. Originally created by Tommaso in his teens, SPY SEAL made a big splash when it became instantly viral last fall, generating fan enthusiasm, cosplay, and Hollywood interest before being snapped up for an ongoing series. The series’ first chapter, The Corten-Steel Phoenix, finds Spy Seal, Britain’s newest covert agent, up to his neck in saboteurs, snipers, assassins, and double agents. “It's wonderful and surreal to be working with material that I created as a 13-year-old kid,” said Tommaso. 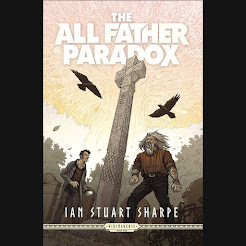 “I'm enjoying doing a spy story too—it's a genre I've never explored in my adult career as a cartoonist. SPY SEAL #1 (Diamond code: JUN170705) arrives in comic book stores Wednesday, August 16th. The final order cutoff for comics retailers is Monday, July 24th.